The "carousel" is a great strategy to use when previewing a text or for responding to a text after reading. 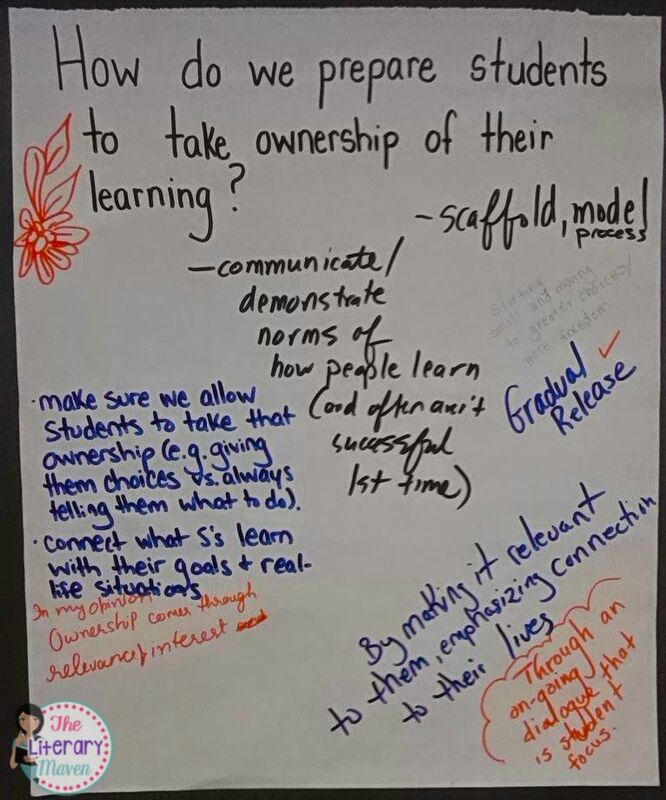 This can be used with your students or with teachers in a professional development (the examples below are from teachers). The first step is to create questions or prompts or select quotes from a text to put out around the room. 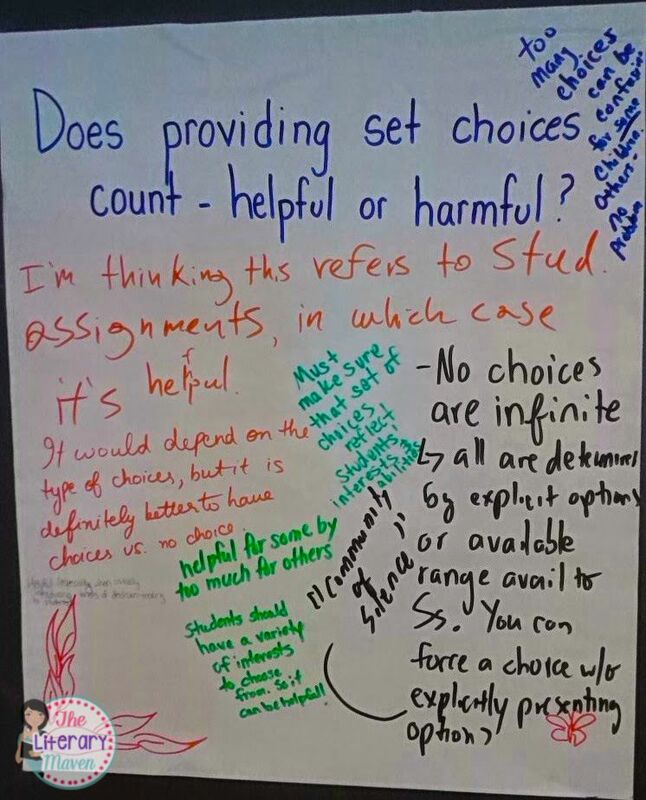 Chart paper laid out on tables/desks or hanging on the wall (with markers that won't run through of course) works best because it is large and multiple people can write at the same time. But you can also just tape down pieces of paper to desks/tables. Chart paper is expensive! You can decide how many questions/prompts you need to create but a 1:2 ratio is good, one prompt to every two students. 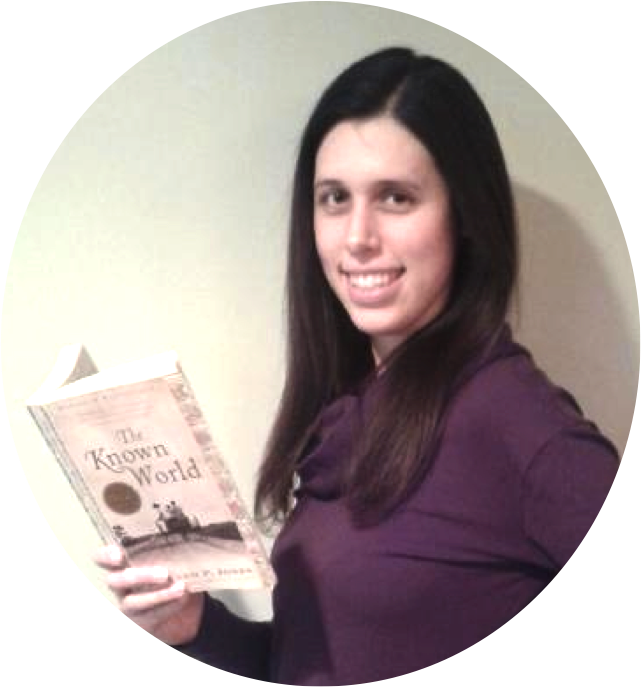 One student can be reading over others' responses while another student adds his/her response. 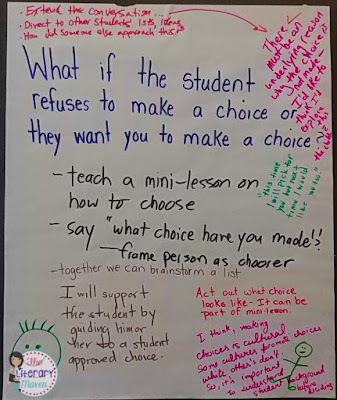 You want students to be moving from prompt to prompt or writing, not too many just standing around, which is what will happen if there are too few prompts. 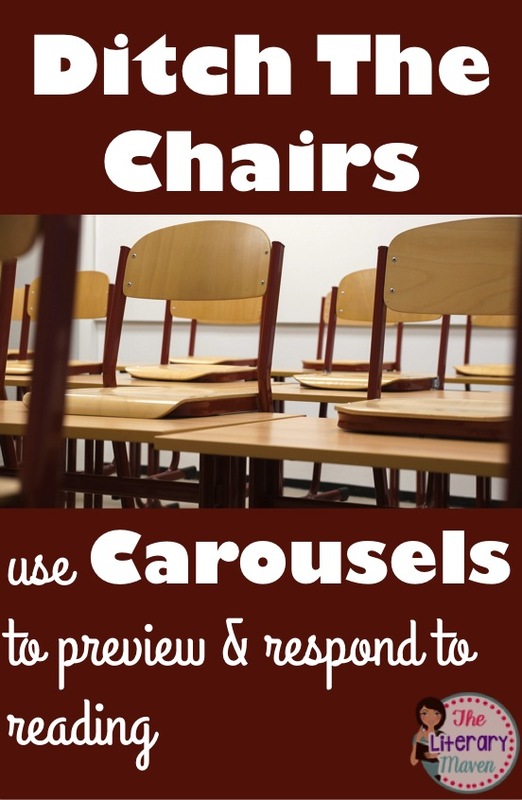 Set a certain amount of time for the carousel activity and a goal of how many prompts you want students to respond to during that time period (they probably won't get to every single one and if they are, your questions/prompts are too simple). At the end of your set time period, have students stop where they are. You can ask students to read out the whole paper or just select a response that stood out to them. Like I said, this is an activity that can be used before reading. 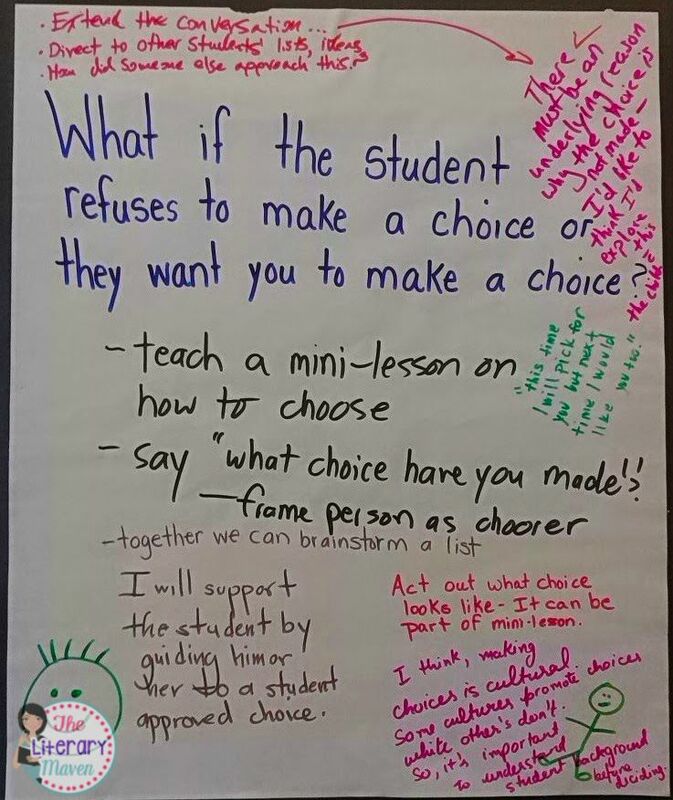 Instead of your usual anticipation guide where students check off agree or disagree, turn it into a carousel so your students are moving around using up some of that energy. Research also strongly links movement with learning. For example, before reading Romeo & Juliet, I do a carousel of questions that relate to the themes of the play, such as "what should be the punishment for murder?" and "how important is family?" These are great to hang around the classroom and you can return to them throughout the text you are reading to see if students' answers change. 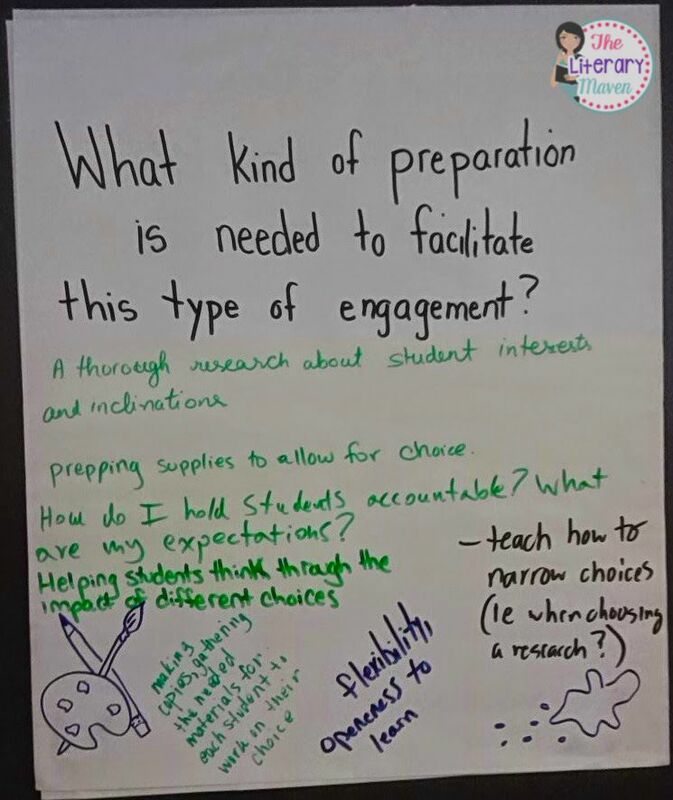 If you don't have the space to have your students moving around the room, aren't allowed to hang things on your walls, etc., you can modify the activity by having students seated in small groups and then passing the prompts/questions around. In that case, you want a 1:1 ratio of prompts and students, and each small group can have the same set of questions. 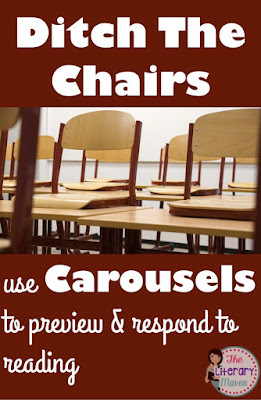 Do you use carousels in your room? For what? How? Do you have a special twist to yours? I would love to hear about it in the comment section below. I use carousels for KWL (all sections) with my students from time to time. I like your idea of using it with an open ended question from the reading. Thank you! I love learning new strategies or just new twists on strategies I already use. The carousel is especially nice because it is very low prep, but with the right questions still very engaging for students.